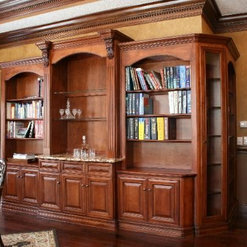 Shadowhill has been building and installing high end cabinetry and architectural woodwork for 18 years. 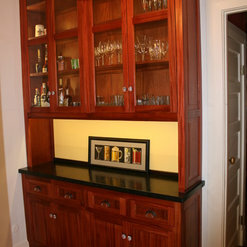 While specializing in kitchens, vanities, home libraries and bars and entertainment centers what sets us apart is the experience we bring as well as our approach to a project. Our aim is not only to make well built, durable cabinetry that enhances your home but to change the whole feel of a room, bringing warmth, personality and comfort to each space. Though we only have a small sampling of our work here, we invite you to view our galleries and see the before and after photos to appreciate the amazing difference our work can produce. 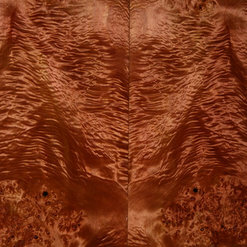 All designs and photographs on this site are the property of Shadowhill Custom Wood and may not be used or duplicated without permission. Shadowhill uses wood products from FSC certified suppliers that is carbon-free and from sources that are sustainable and managed. Green Guard certified finishes are available upon request. Shadowhill is notcertified in either. I came to Shadowhill with a difficult task at the very best. 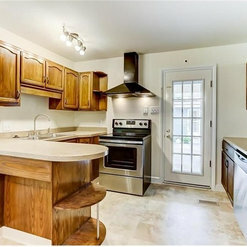 To construct and install a custom kitchen in a month and a half before I moved into my new house. While we did overshoot the timing slightly, I am thoroughly satisfied with my Shadowhill kitchen in every aspect. 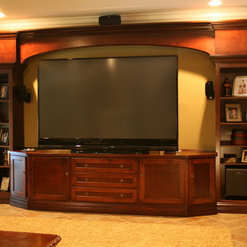 The quality and craftsmanship are top notch as are the products and materials used. I have worked for one of the major national cabinet brands and have never been thrilled with the quality for the price that they offer. Having received a number of quotes for pre-built cabinets, none of the off the shelf sizes would make full utilization of the modest space in my home. Further, the cost was outrageous for the quality and that was before installation or soft-close anything. For just a little more than standard fiberboard pre-built cabinets, Rick was able to construct custom units out of 3/4 inch plywood with 3/4 inch solid maple doors, finish them to my specifications, and install them with soft-close everything of course! He was able to make use of every inch of space in the kitchen of my modest home. During the entire design and build process we were able to make changes, often times with Rick bringing them up first. With the proliferation of major brands and national advertisement, it is easy to forget that craftspeople like Rick are out there working to add customized beauty to people's homes. It is truly refreshing to have something that feels as though it is built to last for generations. If you are in the market for a new kitchen, or any other wood furniture, I highly recommend that you give Rick at Shadowhill Custom Wood a call. We have used Shadowhill for 3 projects now in our house. Everything has come out beautifully - Rick takes the time to understand what you want and delivers! He is a very talented craftsman. I'm sure we will use Shadowhill again in the future. I used Rick and Shadowhill Custom Wood to build a custom fit Hall Tree for our Mud Room. 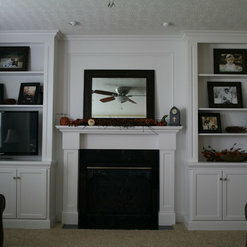 My wife and I were extremely satisfied with the quality of work and the time it was finished. 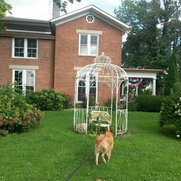 We have yet to have someone enter the house that hasn't commented on how nice it looks. Outstanding work at a great price!!! Look forward to doing business with Rick in the future. 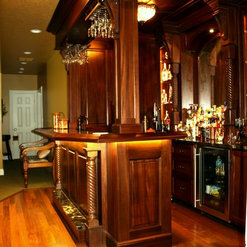 Furnished and installed a custom home bar in our lower level from scratch utilizing mahogany wood with granite tops. Great detail with many accessories provided. We couldn't be happier with the end result. 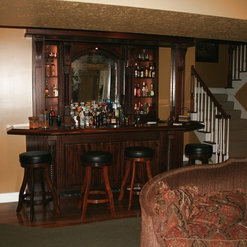 In 2012, we had Shadowhill Custom Wood, more specifically the owner, Rick Wallis work with us for the final phase of our basement project which was initially being done by another basement contractor. However, we separated from him and were extremely thankful to find Rick for the most detailed part of our project. Since his experience demonstrated expertise in carpentry, we worked with him to finish our kids' desk/bookcase area and more importantly, the focal point of our basement, the fireplace mantle with bookcases on both ends. 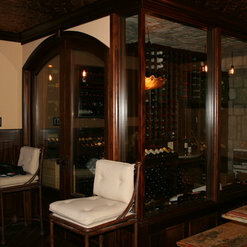 We also worked together to design two alcoves specifically meant to house artistic statues, and when finished we knew we could have never accomplished this with the previous contractor. Rick was extremely patient and very meticulous with the finer details and we collaborated together to bring our vision - with his experience and input - into reality. As this was the last phase of our project, we noticed that small things were left undone and needed to be addressed. We turned to Rick for help and as always he was very receptive to our concerns and helped us in every capacity to finish the project. Rick's work in other parts of our basement demonstrates his caliber and experience, which is not exclusive only to wood work but to other facets of the project as well, like installing led lights in bookcases, wiring for sound bar underneath TV and alcove overhead lighting, and many inumerous other small jobs. We have been very pleased with his work and are recommending Shadowhill Custom Wood to our friends for any remodeling needs. We are extremely grateful to Rick for being ever so pleasant in his demeanor that it made our interactions very productive and the outcome is self explanatory. 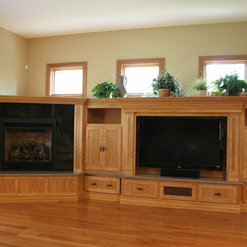 We would without a doubt approach Shadowhill Custom Wood again if there was ever a future need.